Since at least the time of Aristotle’s Politics, families have been considered the building block of society. Strong families produce the stability—and reproduce the future citizens—needed for society to flourish. But the inverse can also be true. When members of insular nuclear families lose understanding and empathy for those unlike them, the family can threaten liberal democracy itself. This threat intensifies when citizens feel left behind, economically or otherwise. When a family’s own economic survival appears to hang in the balance, voters can ignore the interests or rights of groups of others —for example Muslims or undocumented immigrants. Such a response undermines democracy, since democratic decision-making functions best when we can take the larger view of what is good for all citizens—including those unlike us. Democracy requires a meeting place where people can share ideas, interact with those different from them, and—at least—not demonize them. This serves a few purposes. The better we understand the concerns and anxieties of those unlike us, the more we can empathize, and be persuaded to compromise or consider their good. This directly contributes to stability, since we are more likely to maintain our commitment to democratic institutions, and to uphold the rights of all, if we have some trust and empathy for our fellow citizens, especially those we aren’t related to, or don’t know personally. Marxist theory co-founder Friedrich Engels saw the private family as foundational to capitalism, making possible the intergenerational transfer of wealth from biological father to son. The nuclear family also enables caring about one’s own to the exclusion of others, because focusing on the success of “one’s own” conceptually depends on marking off “one’s own” from others. The nuclear family configuration idealized in America today, which draws sharp dividing lines between people, is historically atypical. Throughout human history, we lived in extended kin groups, working together in larger family configurations. Today as we enter our “single-family” homes through our garages without meeting our neighbors, it’s no wonder we’re grappling with an epidemic of loneliness. Working families are struggling to provide childcare, to pay bills, and to have time with each other. The greater distances workers must travel each day for gainful employment further isolates families. In a society where people face so many pressures and have long experienced stagnant incomes, it’s only human to turn the focus inward. Anxiety about providing for our own family naturally overshadows concern about others when success seems to be a zero-sum game. To surmount isolation, democratic theorists have stressed the importance of public schools, in which children from diverse backgrounds mingle, laying a foundation for respect and tolerance for fellow citizens. Public universities too can serve this process, when students learn from peers with different experiences. The problem is that families may isolate us from those unlike us—religiously, racially, socioeconomically— and make it harder to care for their good because we do not understand their challenges. But we have no infrastructure for a vibrant civil society in which adults interact with peers from different backgrounds—different religions, races and ethnicities, social and economic classes, and educational backgrounds—to discuss issues of political importance. And that is distressing, when finding a way to bring disparate groups together seems especially urgent with regard to both racial tolerance and economic inequality. Notions of family, are, of course, deeply intertwined with race—whatever race is. Tellingly, Derek Black—who defected from Stormfront, the Internet’s first and largest white nationalist site, founded by his father—wrote in the New York Times that he’d viewed white nationalism as defending the interests of his “white friends and family.” Of course, some families cross-racial boundaries; but when families are racially homogenous, their separation allows members to be ignorant of challenges faced by others. 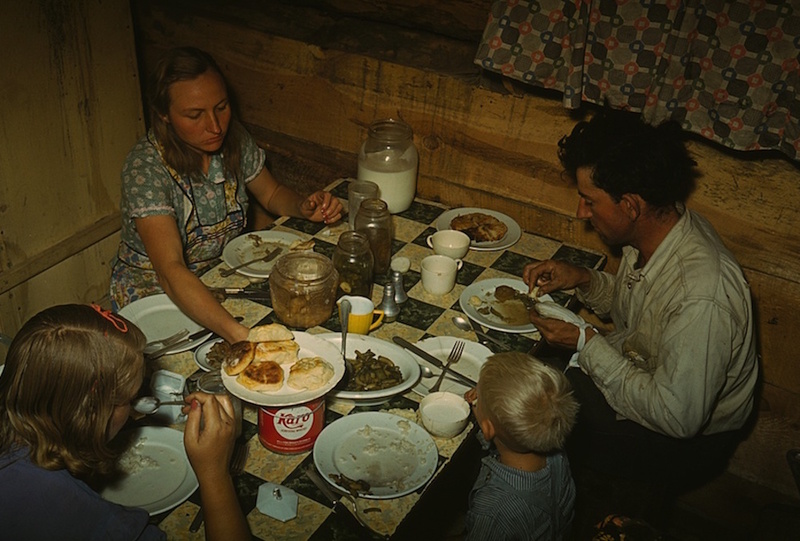 The nuclear family contributes to economic inequality in two ways. First, by the so-called “marriage gap ” between lower-income people, who are less likely to marry, and higher earners in the U.S., who are more likely to marry each other, further consolidating wealth. Secondly, a family’s ability to provide a strong start for its children is directly tied to economic advantage. If, as studies suggest, an activity as simple as parents reading to their children can increase their life chances, consider the long-term effects of parents’ ability to provide a stable home, decent food, and quality healthcare. Political philosophers have long recognized that the nuclear family is in tension with the ideal of equal opportunity, precisely because different families will give children different head starts in life. To be clear, I’m not proposing the abolition of the nuclear family, as political philosopher John Rawls once suggested in a throwaway comment. While Rawls recognized that the nuclear family detracted from equal opportunity, he also saw that the moral development which occurs within families was crucial for citizens to develop a sense of justice which would keep liberal democracy stable. In the family, we learn to move beyond self-interest to care about the good of others. The problem is that families may isolate us from those unlike us—religiously, racially, socioeconomically— and make it harder to care for their good because we do not understand their challenges. How to fix this? We should start by broadening the definition of family. Why not create a new-old model that builds on the age-old notion of extended family? Legal theorists have recently been discussing “in-between” legal family statuses. Currently, one is either a parent or a legal stranger to a child; either a legal spouse, or not. So why not create a path to recognizing the variety of relationships which reach beyond the nuclear family? For instance, “in-between” legal status for grandparents or friends of parents who help care for a child, or kinship status that allows legally recognized relationships within friend groups. In this way, the law could encourage bonds beyond the nuclear family, and thus ease some of the burdens of isolated nuclear families. This first step could put us on the path to widening circles of trust and care, and to encouraging greater interaction within a vibrant, diverse civil society. Elizabeth Brake is an Associate Professor of Philosophy at Arizona State University. She is the author of Minimizing Marriage: Marriage, Morality, and the Law (OUP, 2012) and editor of After Marriage: Rethinking Marital Relationships (OUP: 2016).